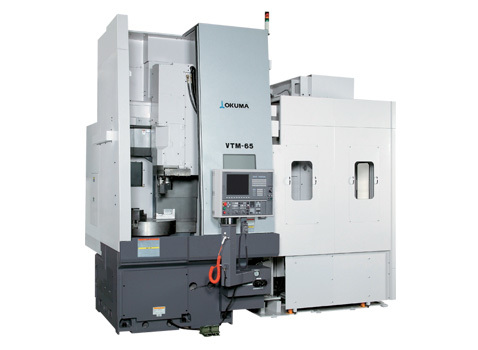 The VTM-65 3-axis vertical turning center has a 50 taper 36-tool magazine to enable turning and milling operations on a single platform, ideal for efficient low volume parts production. The machine includes a box-way construction, wide angular slideways on each axis and a vertical axis counterbalance for stability and accuracy. The headstock is fixed to the base, minimizing the influence of thermal changes and vibration on cutting accuracy. The VTM-65 is also available with a wide range of standard accessories, including a spindle orientation function.